My mad dash through CES 2014 left me feeling exhausted; it was a good thing that I decided not to head for the Oculus Rift, Parrot Mini Drone or Jumping Sumo. I needed to get to 30,000 feet to better understand how all of this stuff comes together to make our lives better. I got excited about the possibilities of being totally connected to my personal data and data from my surroundings. But, realistically, what does this all mean? 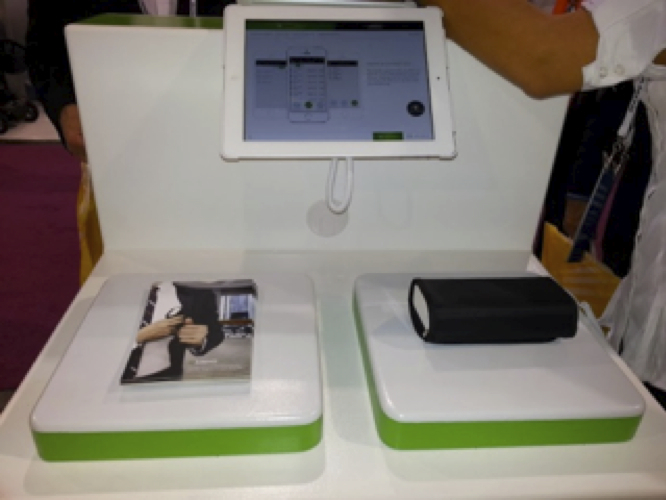 Let’s first take a look at iHealth section of the CES trade show. Health was a highlight and hot topic at CES, with many entrepreneurs and corporations developing products that can either help manage the data retrieved and received from your body and track it back to the healthcare professional, pharmacy and/or insurance company. There were plenty of health and fitness devices on display at CES, as in the example pictured above. In fact, there were so many waistbands and bracelets to choose from that provide data and behavioral management that my entire arm could be covered by data points. In addition to these types of devices, there were biosensor health patches and pain relief patches “utilizing transcutaneous electrical nerve stimulation” (from Vancive Medical Technologies) and wearable sensor technology monitoring devices. I admit the quantified self in me digs Qardio — these devices make it easy for me to self-monitor my cardiovascular system. The hardware design is elegant and fits perfectly with human contours. The drawback, however, is that it only works with iOS. I know, just reading these sentences, you must be overwhelmed too! When thinking about the management of these data, years ago I envisioned that there would be one loyalty card that keeps track of all my loyalty memberships. I hope there is a similar vision regarding the collection of data to and from my body, so that there can be a central synchronization — kind of like a personal human repository of my body’s data. That’s where dashboards can help. There were plenty of dashboards to manage many different diseases, health states and nutrition offering you a choice of iOS or Android. I could #hastag myself to perfect health! The big take-away from iHealth: WE are going to have to manage our own health, and prevention is becoming more vital. I wonder what this will do for health insurance and healthcare costs. If disease can be prevented by self-monitoring, does the cost of health increase or decrease? 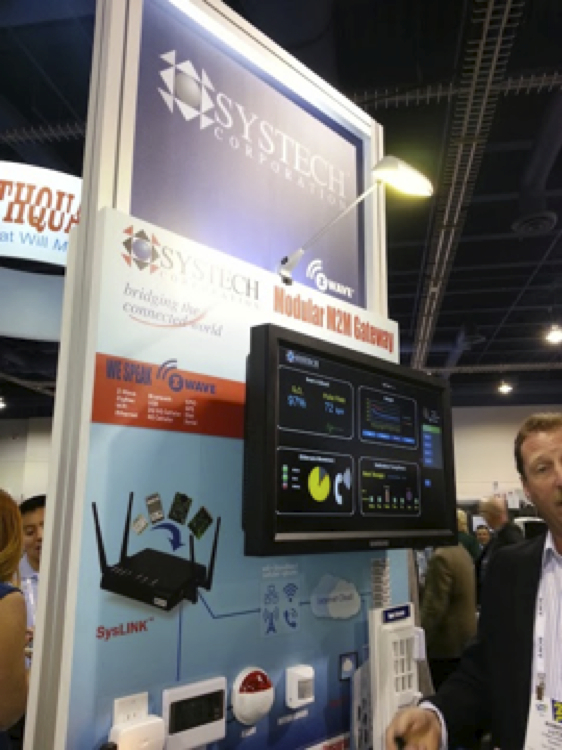 BTW, United Healthcare had a very significant presence at CES with an impressive booth. The only thing missing from our digital health is for Watson [IBM] to assist with patient needs and a biometric toilet to collect samples. Once those items are offered, you will rest soundly knowing your health will be fully taken care of. I moved from the iHealth section of CES to spend time in Connected Home. If I’m going to fully manage my health, I should be able to combine this with fully managing my home environment. Since we are living in a data intensive world, connecting the data to you and your home, as promoted in the display pictured above, will take either Zwave or Zigbee, wireless communication protocols designed for home automation. These protocols will need to be considered when you’re buying devices to automate your home. You can be at the center of your hub, making it easy for you to turn your coffee pot on from your mobile device, and regulating the temperature of your home while at the same time being on the road. Even monitoring the activity in your home while you are at work — you will be able to see if the mice are playing while the cats are away. Cisco gave an impressive simulation of what the Internet of Everything may be like in the future. Though, I will challenge the changes in grocery shopping because automation may happen from Amazon. Why waste time grocery shopping when you can kick back in front of your 4K TV, count blades of grass and have a drone drop off your groceries? Please be careful of the eggs! 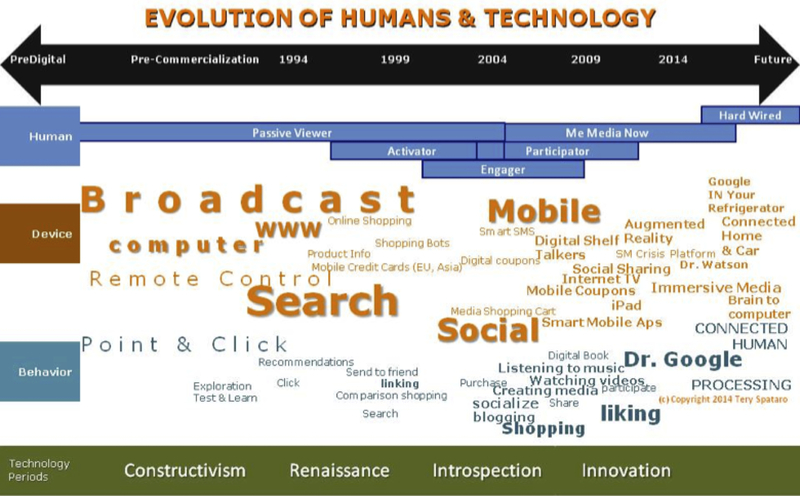 We have come a long way with our technology, as visualized in the timeline above. The term that best describes our future is Connected Human. We will be integrated with our personal and biological data, in our home, life and on the go. Devices will be attached and even inserted into us so that we know what may happen to our bodies before it actually happens. The automation of my Connected Life will bring me great comfort in knowing my body is being monitored against potential threats — the slightest bit of dehydration, and I will get a prompt to drink more water; if my glucose is too high, my grocery shopping list will change, as will the food that comes to me on a daily basis. My refrigerator will know what to order based on samples my toilet collects, and I will feel secure in knowing everything will be all right. A true introvert’s paradise — I’ll never have to leave home — thus lowering my stress levels as well as human carbon emissions. But consider this: At what cost will the automation of my connected life interfere with my natural human functions? 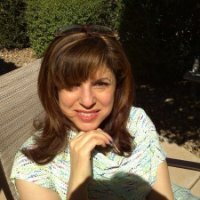 Will my ability to be intuitive diminish? Will my life be extended beyond what I would like it to be? Will my emotions eventually be regulated by a gadget — making my feeling of love artificial? These are some things to think about as we become Connected Humans. Tery Spataro is the founder of the Gilbert Geekery, a firm that focuses on strategy for human solutions, using technology to meet the needs of humans.